Every first Tuesday of the month, the AADMD Student & Resident Sub-Committee hosts interdisciplinary webinars for clinicians to learn from colleagues in a patient-centered manner with the purpose of encouraging comprehensive care provision to patients with IDD. FRAME is a web-based educational library and resource created by Positive Exposure that changes how medical information is presented to health care professionals in training, clinicians, families and communities. FRAME utilizes brief educational films hosted on the Positive Exposure and partner websites. What started as a pilot in collaboration with students in the Joan H Marks Graduate Program in Human Genetics Sarah Lawrence College with five genetic conditions – and formerly entitled The New Face of Genetics – FRAME is growing into an important compendium of genetic conditions that will change the way students in health care fields see and experience individuals living with genetic differences. Rick is the founder and director of Positive Exposure, an innovative arts, education and advocacy organization working with individuals living with genetic difference. Positive Exposure utilizes the visual arts to significantly impact the fields of genetics, mental health and human rights. The Positive Exposure photographic exhibition premiered at the People’s Genome Celebration, June 2001, at the Smithsonian’s National Museum of Natural History and continues to exhibit in galleries, museums and public arenas internationally. Positive Exposure is the subject of critically acclaimed Kartemquin Film’s ON BEAUTY. Positive Exposure’ s powerful collection of imagery, film and narratives celebrates the richness and beauty of human diversity and dignity. Dr Forster-Gibson completed a post-doctoral clinical training program in Developmental Disabilities at Queen's University in Kingston in 1997 and was the Program Director of the Developmental Disabilities Post-Graduate Year 3 Program, in the Department of Family Medicine at Queen’s from 2008-2010. She has practiced as a GP, practicing in Clinical Genetics for 25 years, with affiliations with the Developmental Disabilities Consulting Program at Queen’s University and currently with Trillium Health Partners in Mississauga, with a focus on genetic assessment of children and adults with developmental delay. She contributed to the development of the Canadian Consensus Guidelines for Primary Care of Adults with Developmental Disabilities, led by Dr William Sullivan, and was lead author of a number of Primary Care Tools (Health Watch Tables), designed to give guidance to primary care providers in caring for persons who have specific genetic concerns associated with developmental delay. Identifying the cause of an intellectual disability and/or autism spectrum disorder can be useful in providing a name for a condition, which in turn may lead to finding support from others with the same condition in their family. It may provide knowledge regarding associated medical concerns, current and future, as well as inheritance patterns and, in a minority of situations, information on treatment. This presentation will provide an overview of the approach to genetic assessment and testing of children and adults with intellectual disability, developmental delay and/or autism spectrum disorder. We will review some specific conditions as examples of this approach and address the improved diagnostic capacity that next generation sequencing tools provide. Dr. Evan Spivack graduated from the University of Maryland dental school, completed residency training at St. Barnabas Hospital in the Bronx and a fellowship in special care dentistry at Helen Hayes Hospital in West Haverstraw, NY. 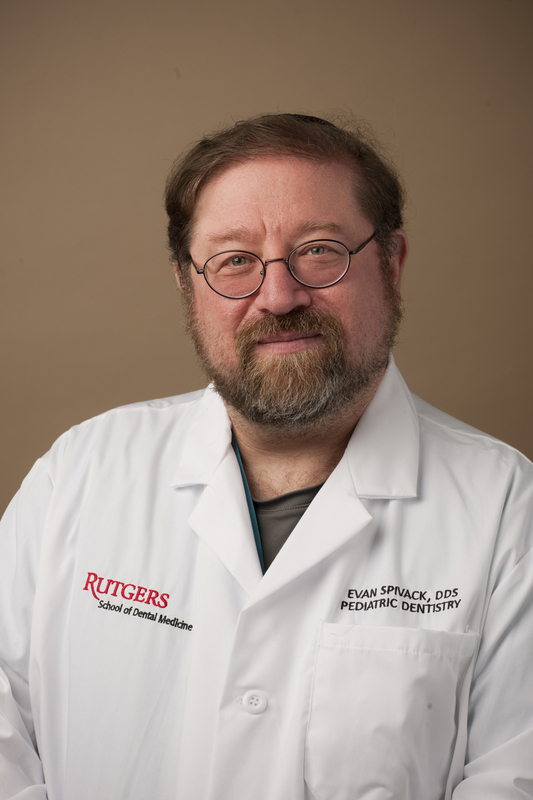 Currently a professor and leading the Special Care Treatment Center at the Rutgers School of Dental Medicine, Dr. Spivack has devoted his career to both direct patient care and to the education of future dentists in the provision of dental care to persons with special needs. 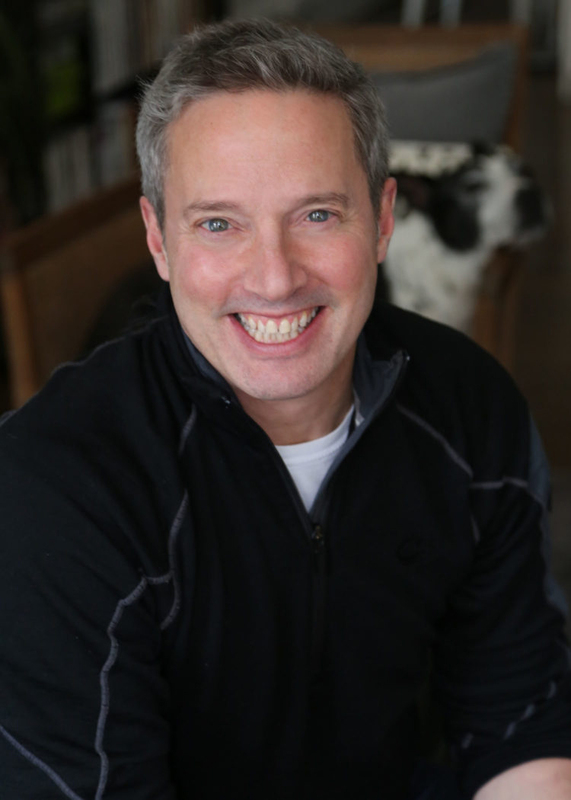 Dr. Spivack is author or co-author of several articles in the field of special care dentistry, has co-authored textbook chapters on dental issues for persons with developmental disabilities and frequently lectures on topics in special care dentistry. He is a fellow of the Academy of General Dentistry, served as editor of the New Jersey AGD journal Wisdom for a decade and is a past president of Region 4. Dr. Spivack has strong interests in interdisciplinary patient care and is currently on the board of the American Academy of Developmental Medicine and Dentistry. Dr. Spivack is honored to have been chosen as The Arc of New Jersey’s 2015 Healthcare Professional of the Year. The diagnosis of the cause of dental pain relies heavily on a patient’s subjective description of their pain. But how do we arrive at a diagnosis when our patient is nonverbal or otherwise unable to assist the practitioner? This course will discuss the various etiologies of oral pain and how we can develop a meaningful differential diagnosis leading to the discovery of the cause of pain. Multiple case presentations will be used to illustrate and develop the information presented. Dr. Stephen Sulkes attended Boston University for college and medical school. He was fortunate to experience pediatric residency in Syracuse, NY, under Frank Oski. He completed his fellowship in developmental pediatrics (in the era before Boards) at Boston Children’s Hospital, where he had the good fortune to be mentored by Dr. Allen Crocker. He then followed his wife and US 90 for two tanks of gas and found himself in Rochester, NY, where he has spent the rest of his career. Steve has provided primary care for individuals with intellectual and developmental disabilities in residential and community settings, and developmental-behavioral pediatric specialty care at Golisano Children’s Hospital in Rochester. In 1985, he developed Rochester’s fellowship program in developmental-behavioral pediatrics, initially funded by New York State, then by the Maternal and Child Health Bureau’s Leadership Education in Neurodevelopmental and related Disabilities (LEND) program. A glutton for punishment, he then took on leadership of Strong Center for Developmental Disabilities, the Rochester University Center for Excellence in Developmental Disabilities (UCEDD), which he now co-directs. These two programs have given him the opportunity to hang out with colleagues from around the country at meetings of the Association for University Centers on Disability, on whose board he has served, and of the American Academy of Developmental Medicine and Dentistry, where he currently serves as President. His research and advocacy passions merge around improving health care delivery for people with intellectual and developmental disabilities. When he is not working or thanking the nearest deity for his phenomenal family, he leads the Performance Measures, an ad hoc group of obviously non-professional and under-rehearsed singers of song parodies. Advocating for improved health for people with Intellectual and Developmental Disabilities includes working with policy makers to educate them and help move forward governmental supports. With a new Congress and re-introduction of the HEADs UP legislation to designate people with I/DD as a Medically Underserved Population, a fresh opportunity to influence policy is now available. This session will walk through the elements of a legislative visit, including what data to bring, what stories to tell, how to create your "elevator speech," and even how to dress! Get ready to storm the Hill, whether in Washington or in your own community! Since 1998, Dr. Henry Hood has dedicated his entire professional life to the care of patients with intellectual and developmental disabilities (IDD). As Chief Clinical Officer of Advantage Medical Corporation, his principal focus is the creation and management of patient care, teaching and research programs serving patients with IDD. Dr. Hood has created multiple predoctoral and postgraduate developmental dentistry clinical and didactic teaching programs. He has authored book chapters and scientific manuscripts published in the United States, Germany, Great Britain, Poland and Japan. Dentists and dental students have come from around the world to study under him. In 2011, in recognition of his leadership, the Kentucky Board of Dentistry designated the Lee Specialty Clinic as an independent teaching program. Dr. Hood is the co-founder and Past President of the American Academy of Developmental Medicine and Dentistry, the nation’s first and only interdisciplinary professional advocacy organization of physicians and dentists with expertise in the care of patients with IDD. Dr. Hood has served as a consultant to national managed care organizations, assisting in the development of risk stratification and the design of health-home program models focused on individuals with IDD. When providing dental care to patients with intellectual and developmental disabilities (IDD), some of the more complex issues with which a dentist must deal include guardianship, behavior management and obtaining informed consent. Opinions, indeed, clinical paradigms often diverge on some of these very issues. At the outset of this lecture, the discussion is framed within the context of the doctor-patient relationship. The discussion then moves to an examination of the principles that should guide a reasoned decision-making process in the management of the patient with IDD. Also addressed in this lecture is the impact that intellectual disability can have on obtaining informed consent, obtaining a (frequently complex) medical history and managing challenging behaviors. Dr. Hood will also establish step-wise protocols for procuring meaningful informed consent when caring for a severely intellectually disabled patient who has not been legally adjudicated incompetent, and for whom no legal guardian has been designated. 1) Identify the major medical / legal issues relevant to the delivery of dental services to patients with IDD. 2) Understand the importance of the doctor-patient relationship in dealing with medical / legal issues relevant to patients with IDD. 3) Understand the impact that intellectual disability has on the informed consent process, the obtaining of a health history, and the management of challenging behaviors.